not the best picture, but I’d had a few. Last night while at Kaze for karaoke, I was a bit hungry, but didn’t want to order food, so I had a few stouts to fill me up a bit. 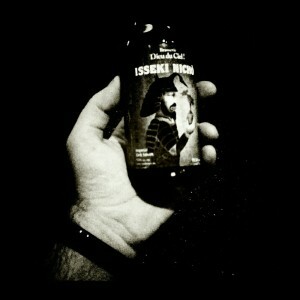 When the bartender noticed a pattern, he presented me with Isseki Nicho, from Brasserie Dieu Du Ciel. According to the bartender, it’s not very common around here, and the whole city only got a few cases. 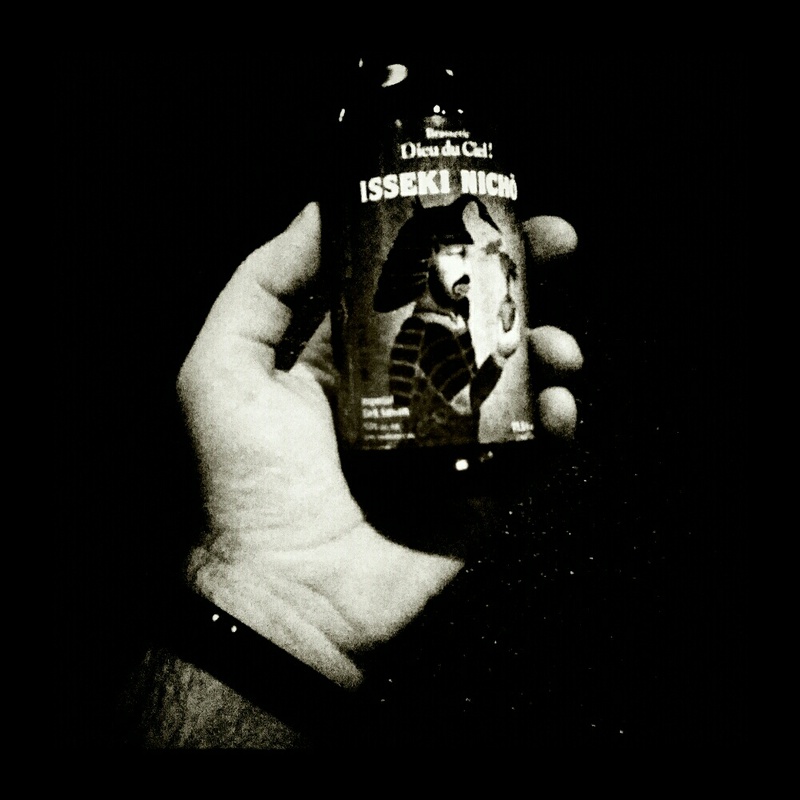 It’s an “imperial dark saison”, but to me tasted predominantly more “stout” than “saison”. Quite good overall, but I don’t know that it’s $12 good. I’ll keep an eye out for it at stores, but will prolly give it a miss at the bar.